Back again after quite some time. Hope you’re doing well! As Derek can attest, over these past several months I’ve been dividing my time and attention between my job, various entrepreneurial pursuits, and now married life, with some time on the side for game dev. Aside from learning the hard way that if you don’t stick to one thing you won’t finish anything, I also finally learned that it’s not about the amount of free time I have but how I use that time, however small. I don’t expect this division of labor to change anytime soon, so I just have to increase my hustle. Hopefully, that will mean more frequent progress, updates, and videos. If you’ve been following my YouTube channel you’ll know I’ve worked on other games, such as We Are Being Boarded, but all roads lead back to Debris. Debris is that one game idea that I just can’t seem to shake, which always seems clearest and most exciting in my mind, and which actually seems within my abilities to deliver it. Thus, as much as I’ve tried to avoid it for smaller, simpler projects, it just has to be the next game I bring to market independently (no doubt, with Derek’s help where I can steal it). So, in the coming months I hope to post more blog updates, videos, and maybe even some demos for Debris. They may be brief, they may be few and far between, but they’ll always be moving forward towards the next Send More People release. Stay tuned! Check out the last dev video HERE. After long last (you probably thought we were dead, hunh?) I’m happy to announce my labor of love, The Captain’s Log. My wife Mara and have I watched a lot of Star Trek over the past two years, and (Mara can confirm this) pretty much every time we watched the opening credits for Voyager (in which a space ship and her crew are stranded on the far side of the galaxy) I mused out loud that “this would make an awesome game.” This is my attempt to make that happen! Nights, weekends, and more than the occasional early morning were dedicated to the effort. Eric was a frequent play tester and advice giver. More than once the random name generator has spat his name as some Ensign unlucky enough to be assigned to The Laconia. The game couldn’t have been made without his support… and now it’s my turn to back up his work on Debris and his new project, We Are Being Boarded. The game is free (with an optional donation) for PC, Mac, and Linux. After the initial release, I’m going to make a mobile A lot of love, blood, sweat, and tears went into making this. It didn’t end up being the dwarf fortress in space I initially envisioned – but I suppose this is what expansions are for. This post was originally published on Derek’s personal blog. I’ve been working on a project off and on since September 2014. It’s slowly approaching completeness… although there are times I think I’ll never be done. I keep wanting to add features, to make the game more complete. At some point, I know I’ll have to tie the knot and ship. I got the idea for the game watching Star Trek: Voyager with my fiance. Wonderful premise for a show – can I turn it into a game? I like the ideas of being lost in space – isolated, except for a small community around you that draws together. More updates to follow – although none too soon because I’m gonna get MARRIED in a week. Eric and I have both been pursuing solo projects recently, but I think after this we might take a hand to making something small together again. Decided to add this camera bob which I really dug in Homeworld. Gives the impression of a ship on ocean waves, I think. Doing other stuff too, but I’m a little too drained to outline it all. Hoping to get this done before my birthday at the end of the month – and while I have the house to myself. Elite Dangerous is pretty fun. That is all. There once was a girl named Roro Roropupuma the Unruly. She stood by the Troubled Forest and mused to herself about the coming journey. She met the evil lord Zizipuzi Jigapujisa the Smooth. Eric and I are doing a little 3 paragraph story generator for the ProcJam. So far so good, the above is the randomly generated text we’ve made after about 3 hours work. We’re learning about the Mozilla Thimble tool – a free collaborative HTML editor for our text-based story. Thus far it’s a slicker, though somewhat buggier, collaborative editor in the style of ShiftEdit or CodeTogether. If you’re coding in HTML5 it’s not bad, but we ran into a few frustrating instances where we desynced. The code is still rudimentary but we’re beginning to develop a structure. Take a look, if you like. It’s been a while since our last update. Eric and I have been hit by the real world quite a bit in recent months. I’ve gotten engaged to a lovely lady and my next project at work – technology conferences in Iraq – has taken off. Eric, too, has decided to tie the knot, and moreover has become a developer and producer at the entertainment games studio inXile! But throughout all these events we’ve still made an effort to keep our hands in the indie game, so to speak. Eric is in the process of launching a company Humighty – a company whose goal is making play productive. I’ll leave him to explain where the project is going, but you’ll want to get in on the ground level for the things he’s planning. He’s been working on a few prototypes, like a game called Tipsy, designed to help bartenders remember drink recipes, and The Daily Deck, which is a card-a-day self improvement game – all really cool stuff! 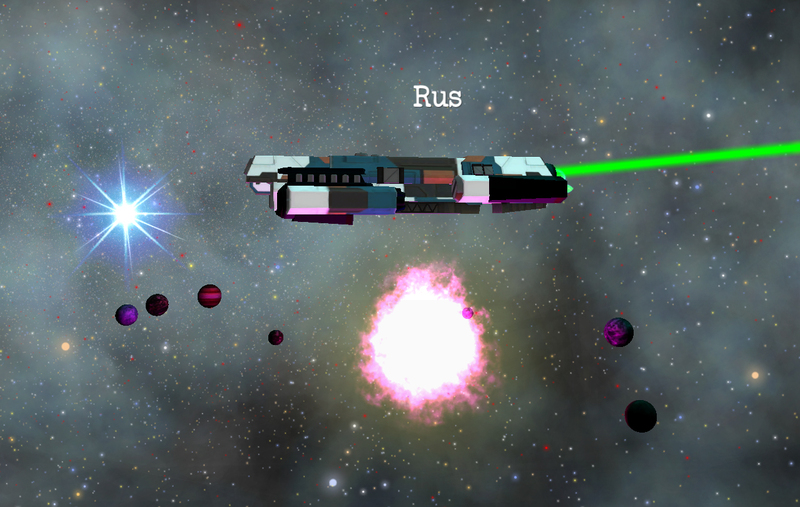 I’ve been working on a game, too, called the Captain’s Log, in which you play a Starship Captain who is lost in space. It started out as a small project and – like everything – has ballooned into a really big task, but I’ve worked to fight the feature creep and I think I’m almost done. It’s a big goal of mine to actually produce a game, because the last one we published was Shaped – that was 3 years ago now. And today, dear reader, we’re putting both our side projects aside and participating in Proc Jam – a big online jam in which users are encouraged to learn and create a game about procedurally generated content. Tune in for our submission – we’ll probably end up posting it here. 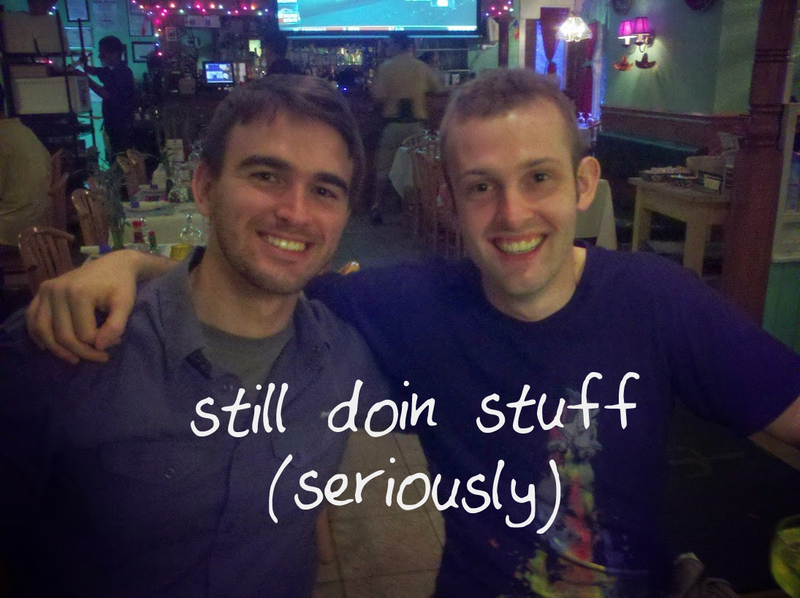 Anyway – Eric and I are still alive, and still doing things. If people are interested I’ll share the Captain’s Log dev videos here. Haul your objects. Haul your friends.